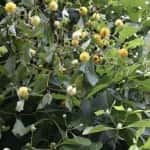 When you do research on Mitragyna Speciosa, you’re going to come across many new terms that you will need to learn in order to become an informed user. Two of these terms that sometimes get confused are: Full Spectrum Isolate Extract and Kratom Isolate. Despite the fact that many vendors will use these terms, only some of them will provide a total description that explains them. On top of that, not every Kratom isolate extracts is made the same way. Therefore, it’s highly important you know what a single alkaloid isolate and a full spectrum isolate are so you know why one isolate is worth more than the other. These substances are very unique to the Mitragyna plants and can be found in various degrees among the strains. It’s the reason some strains are considered to have more stimulating, concentrating effects whole other strains are regarded as having relaxing effects. 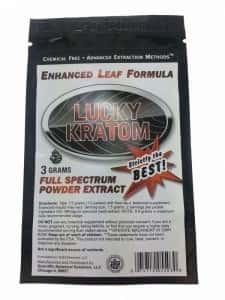 The key way to benefit from a Kratom product is to consume it in powder form. Of course, you’ll need to consume a significant amount of the powder to feel the effects – dosages ranging from four to eight grams, to be exact. 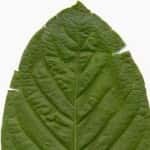 Kratom powder is well-known for its bitter taste, causing some to feel nauseous or have a slight discomfort in their stomach area when so much is swallowed at one time. 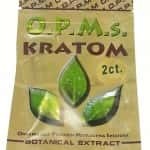 Therefore, vendors have begun offering Kratom isolates that removes the alkaloids in the leaves, ensuring you don’t consume the unneeded plant matter. Alkaloids, in the final product, tend to have less concentration and don’t require a high dosage. There are all kinds of isolates being sold on the market, and each one can generate different effects. One company may sell only a certain type of alkaloid while another company sells a different type. Keep in mind that these many not be natural extracts either but synthetic products. Some vendors will sell non-standardized isolates that don’t promise any alkaloid content is inside. 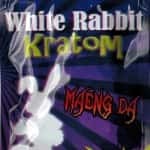 The last available type is called the Full Spectrum Isolate Extract or the Kratom FSIE, for short. FSIE is a consistent extract that has a multitude of alkaloids in the leaf. It’s best that you only use Full Spectrum Isolates. After all, the benefits are numerous and can positively interact with the 25 known alkaloids. Any product with too high of an alkaloids can throw the balance off. This can cause side effects, a buildup tolerance and a host of other issues. When you use a product with full spectrum extracts, the chances of side effects is mitigated and doesn’t decrease the effectiveness. It’s imperative that you ask yourself if you should be using the extract before you outright purchase it. 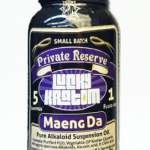 Many novices love the idea of going with the strongest possible Kratom products being sold. However, people who plan on using on an everyday basis needs to consider using the lower dose. Isolate extracts will hasten the process of receptor down-regulation that can lead to a tolerance buildup and cause some folks to take more than the recommended safe dosage. On top of that, extracts tend to cost more money. For that reason, the experienced user of Kratom will buy the unenhanced powder or crushed leaves. If you’ve opted to try an extract, you need to create a usage plan to ensure it’s not overused and that you give yourself some breaks. It can be purchased in all kinds of forms – powdered full spectrum extracts (which is considered the most economical). However, you may feel the capsules are a better convenience. You can also find it in Kratom resins or liquid tinctures. During your research, you’re going to find some products that claim one thing and are not really that thing. Or, they may over-promise what their product can do. It’s possible some extremely potent Kratom extracts will be advertised with as much as 100 times the alkaloid content from the raw leaf. However, they won’t contain the complete spectrum isolates because of the physical constrains seen with the extraction process. Up to 20 times the alkaloids amount can be extract from the leaf. Authentic products tend to have a range of eight and to 15 times. Anything higher than this will not keep the full alkaloids spectrum and will isolate to a smaller fraction.